In my Blog Earnings post for November 2007 I hit the $1,000 milestone with my blog for the first time and stated: "The $1,000 milestone mark is so important in my eyes because I honestly believe that if you can make $1,000 from your blog, that you can make $2,000. And if you can make $2,000 from your blog, there’s nothing stopping from you making $5,000 or $10,000." I really believed that as, especially in the world of making money online, making the first thousand dollars from a site is almost always the hardest. Once you’re able to make $1,000 a month from a site, there should really be nothing stopping you from growing that to $5,000 a month or $20,000 as long as you have a quality site and there is a market out there for it. 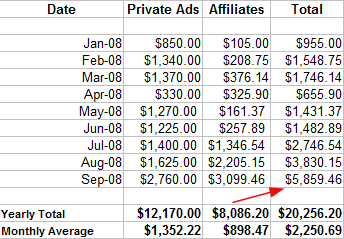 I’m very proud to announce that my blog’s earnings for September 2008 came to a staggering $5,859.46. If we assumed that my income stayed at a fixed $5,859.46 a month, with no loss or growth, that works out to $70,313.52 a year. That’s more than most people make working full-time working a job that the hate! Now, it’s important to realize a few things as September was an unusually good month. First, and most notably, an advertiser (Motive Interactive) prepaid and renewed two of my most premium slots for 3-months in advance. This obviously inflates my earnings for the month and will consequently lower my earnings for the next 3 months as those slots will not have to be paid for during those months. Secondly, a large chunk of my blog’s income comes from my MarketLeverage referrals, of which 1 affiliate is generating the majority of (85%). This is a very scary thing as it puts a lot of my eggs in one basket, for if that affiliate suspends his campaigns, my blog income will have a dramatic decline. But in the end, the fact is that my blog brought in close to $6,000 in 1 month, and I’m very happy with that. Also, some people still haven’t realized that it is just one of my sites and isn’t my biggest money maker, so I do have a pretty good spread of sites to break my fall if my blog’s income ever does dramatically drop. The huge increase was again largely in thanks to MarketLeverage. As you should know by now, I’ve been running MarketLeverage competitions and have so far referred a total of exactly 100 affiliates. They generated over $60,000 in September, and since I get 5% of whatever they generate, I made over $3,000 from them. Again, that is the power and methodology behind PublisherSpot. As much as I love MarketLeverage and welcome the added boost of revenue to my blog, I’m still not thrilled by the fact that my affiliate breakdown is so heavily dependant on them. I need to really start generating some other sources of passive recurring income as well. 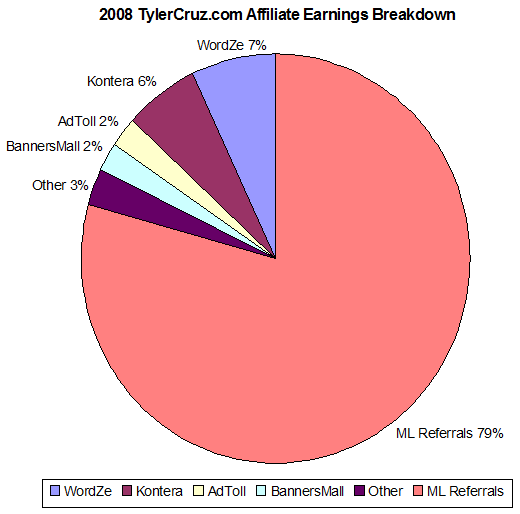 The pie chart below shows MarketLeverage continuing to take over the rest of my affiliate sources. In fact, pretty soon you might not even be able to see any other sources, but just one giant pink circle. I’m still not sure what the best mix is, but I think the most I’d ever want one single source to take up would be around 70% at the most, so I need to find a way of growing some outside affiliate income for my blog. I’m happy with the distribution of the pie chart below though, and would be happy with a distribution balance as high as 75/25 either way. MarketLeverage has continued been a fantastic revenue source for my blog. In the month of September alone, my referrals generated me $3,000 in commissions. This is not counting the money I make with them through my PPC affiliate marketing efforts. My AdToll income stems from the Peel Away Ad located at the top right of my blog. I’m now booked out until Oct 14th! I love Peel Away Ads because they are a new and unique form of advertisement. They are also very visible yet not over intrusive. If you want to buy a Peel Away Slot on my blog, the cost is $15 per week through AdToll. MarketLeverage – ML is a very loyal sponsor, having purchased many private ads and sponsored numerous contests on my blog such as the Affiliate Marketing Challenges. MotiveInteractive – They’ve been my 300×250 Embedded Ad Sponsor since March 2008 and have continued to renew every month. They’re now also my 728×90 Leaderboard sponsor and just renewed for another 3-months. Check out my detailed review of them here. BooksWealth.com – This is their 8th month renewing their 125×125 Sitewide Banner with us. Scott Phelps runs the site and also writes great guest posts here, so if you haven’t checked BooksWealth.com out yet, maybe you should! For $150, you can order a custom review written by me on your website, service, or product. I cannot guarantee a positive review as it is after all a review and not one long ad. However, you will get the benefit of receiving an entire post written about your company or product in great detail. Are you Elite Enough to Join XY7Elite? Because of the reasons stated in the opening paragraphs of this post, I can pretty much guarantee that October will not beat September’s earnings or even come close. It’s just too hard to not only have to try to compete with an advertiser prepaying for two of the most expensive ads on my blog 3-months in advance the month before, but then also to miss out on the normal revenue those two ads would normally bring in each month. On the other hand, if I manage to sign up 1 super affiliate to MarketLeverage during my latest competition I just launched, I could come close. Last month my goal was to break the $4,000 milestone, and I managed to completely smash it by bringing in nearly $6,000. My new goal is to break the $6,000 mark, but I predict that October will bring in just short of $4,000. As usual, stay tuned a month from now to see the results from this month, and wish me good luck! Nice job! Inspiring to see what can be done when you set goals and follow through on them. I think your doing great except the risky part is the all eggs in one basket with ML I was recently doing this same kind of thing with EPN but then it dropped off when they changed terms and all of the sudden my earnings bottomed out I wish I had other streams setup like you. Than you for posting a breakdown and being honest that how much you make, its more than I make at my day job which is what I went to college for but not very financially rewarding or intellectually rewarding.. I hope to become a student of you and John Chow to get this income to replace my day job income..
To my surprise, It was all 1 blog post I did on a product recommendation and 6 people bought the product. That sounds very nice! Just shows the influence us bloggers have over our readers. You are going to be in Florida before you know it! At this pace you will have a MarketLeverage Christmas. I am cheering you on! 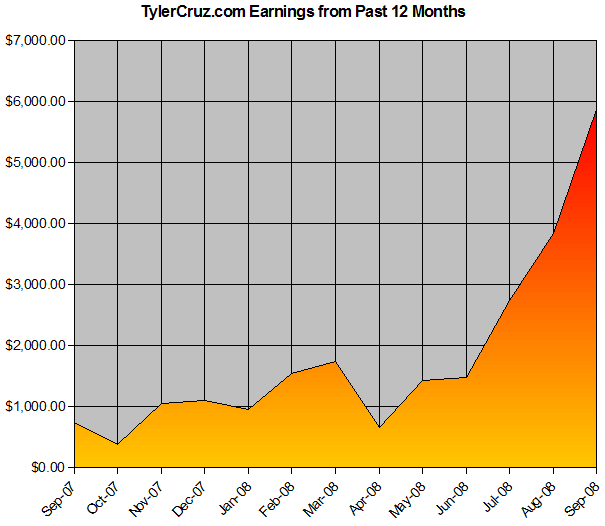 Bloody hell Tyler your income is increasing unbelievably at the moment, congratulations. MarketLeverage really made such a huge difference to the earning potential of this blog. Amazing Tyler. Based on your growth rates, just think what you could be earning 1 year from now. You mentioned that this blog isn’t your top money maker either. I’m curious, what other website of yours earns more? I can imagine PublisherSpot being quite a good earner, if it isn’t now it will be in the future with all the effort Tyler is putting in. 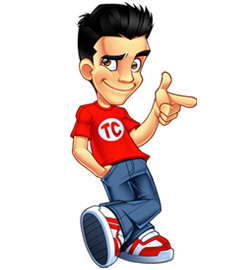 I believe there is also a poker forum Tyler runs which provides him with a more than decent amount of income. How much money you make on all those sites including the blog ? I’m sure you made about 15k in September. I’m hoping October would be my biggest month. My goal is to make 20k to 50k. Wow.. that is really impressive. I will keep on posting about to my visitors ideas of how they can make money with blogs and other stuff. And this just makes everybody see how it is really possible to have an income.. working a bit on a blog. It require some long-term work.. though. 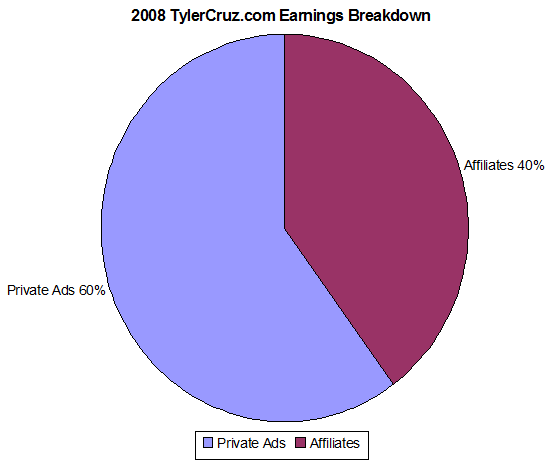 Your affiliate income is awesome..
What can I say Tyler? I’m really impressed and I think you are doing a wonderful job and you keep following your dream. That is one nice monthly income for the month. Tyler, I don’t mean to be a pain but from an accounting perspective you cannot claim the 3 months of prepaid advertising as revenue yet. A revenue can not be claimed as a revenue until the service (in this case the advertising is provided), even though it is prepaid. Basically, advertising paid in September for October can’t be recorded until Octobers earnings. This is standard with revenue recognition and GAAP. Think of it posetively though, even though it will decrease Septembers earnings, it will increase your next 3 months earnings 🙂 . yeah i was gonna say what reid said. you should re-consider your accounting methods. Great minds think alike it seems, was just going to suggest the same thing as Reid and Dave. Switch over the accrual method please Tyler, your earnings are not reflective of actual earnings for September as you are using the cash basis of accounting. But I guess if you are happy to report this way then it dosent really matter! I been telling myself the same thing. I have to find more ways to build passive income. Wow, your affiliate income has really exploded in the last 3 months. Keep up the good work! You can’t count the entire 3 months of earnings in this month…it doesn’t matter when they were paid for, it matters when they are earned. If you shut down the blog today, you’d have to give a refund, wouldn’t you? Congrats and very nice earnings you have there! I’m sure we will both be at $10k a month in no time! $1000 from blog!!! It’s amazing!!! Nice earnings, it’s good to see that you are on a constant increase. Be nice to see where you are at in a few months time. Congratulations! How much daily traffic should I be getting before attmpting to sell private ads? Greets! Really amazing. Big ups! Tnx! e essas dicas foram muito útil.